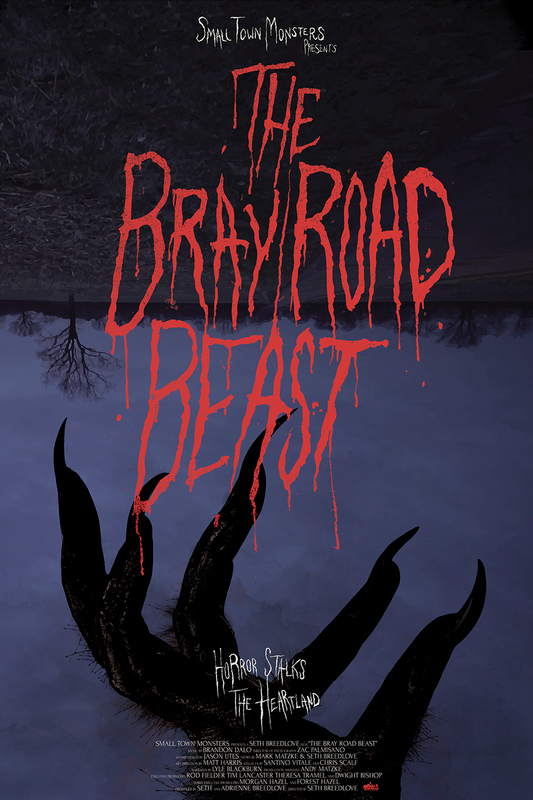 Check out trailer for The Bray Road Beast. Around the world tales of bizarre, unidentifiable wolflike creatures have been told for centuries. In 1992 this worldwide phenomenon came to the forefront in the United States when residents of the small town of Elkhorn, Wisconsin began encountering a “Werewolf” on a rural road just outside of town. Those unlucky enough to see the “beast of Bray Road” for themselves were left forever changed by the ordeal. Soon, the story had gained national attention as regional news media flocked to the area and monster hunters descended on the tiny hamlet. Before long, sightings of similar figures were erupting all across the Midwest. Now, nearly three decades later, production company, Small Town Monsters investigates the story of the Beast of Bray Road… and it’s hidden history. As recently as last week, a major news item about the discovery of an unidentifiable doglike creature shot and killed in rural Montana broke. However, similar strange beasts have stalked the prairies and farmers fields of the Badger state for decades. In this seventh film from award-winning filmmaker, Seth Breedlove, the origins of the Werewolf myth will be explored when The Bray Road Beast arrives on streaming platforms and DVD on October 5th. The film captures the sighting stories of real eyewitnesses, investigators, and historians to tell the centuries-worth of history surrounding one of the world’s oldest myths… and it’s possible roots in reality. “Beast” will also feature renowned author, Linda Godfrey; a newspaper reporter who broke the initial stories about the strange creature sightings in and around Elkhorn in the early 90’s before authoring a book on the subject. Today, the first teaser trailer -along with the official one-sheet- for the film have been unveiled. Delving quickly into the frightening nature of the early sightings, while hinting at their possible supernatural origins, the trailer looks to introduce audiences to what will likely be their first brush with Canid cryptids. The Bray Road Beast reunites the Small Town Monsters crew of director, Seth Breedlove, cinematographer, Zac Palmisano, sound designer, Jason Utes, and composer Brandon Dalo with author and musician, Lyle Blackburn who will narrate the film. Blackburn previously narrated the Small Town Monsters production, The Mothman of Point Pleasant. Mark Matzke co-writes while Adrienne Breedlove acts as a producer. The titular “beast” will appear onscreen in dramatic, animated sequences, as well as live-action recreations with a number of different creature designs by Collier Wilmes, Chris Scalf and Santino Vitale.